In the upcoming Marvel blockbuster movie Doctor Strange–which hasn’t even seen a wide release yet and we can already predict will smash records–Benedict Cumberbatch plays the titular doctor who learns to manipulate reality. Judging by the trailers and early reviews–and, of course, the budget–this will do doubt be a good-looking movie…in more ways than one. While we’re all excited to see the brooding, hunky Brit in this long-awaited adaptation of the comic book hero, there’s one cast member that’s even more attractive…and no, this time we’re not talking about Rachel McAdams. Or Stan Lee’s token cameo. Obviously, because we’re an automotive news site, we’re referencing the Doc’s stunning Lamborghini. 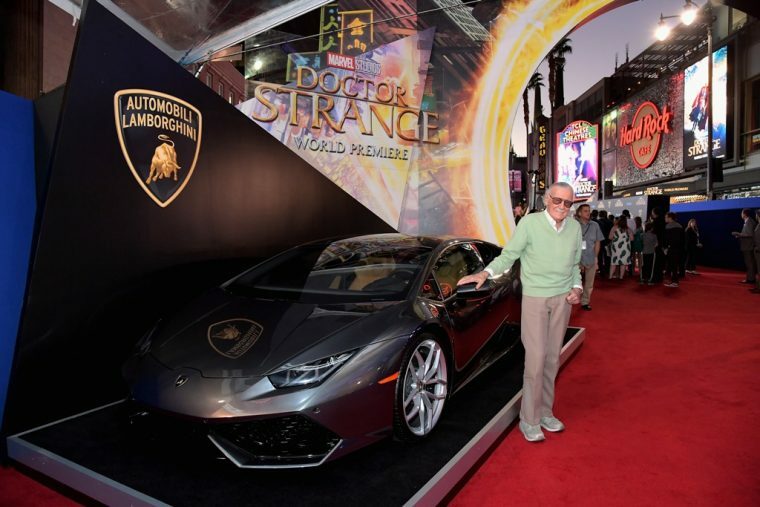 While previous Marvel cinematic spectacles have features Audis driven by Tony Stark and Steve Rogers, Cumberbatch’s Steven Vincent Strange owns a set of wheels far more impressive: a $237,250 Grigio Lynx Lamborghini Huracán LP610-4 Coupé. The supercar was on display at the film’s red carpet premiere in Los Angeles last week. If the plot hasn’t already been spoiled for you, here’s how the Lamborghini comes into play. Strange (Cumberbatch), a globally renowned neurosurgeon, loses the use of his hands in a car accident, which compels him to look for–and discover–alternative methods of healing and power. It’s his personal Huracán that he’s driving when he ends up in a car accident. 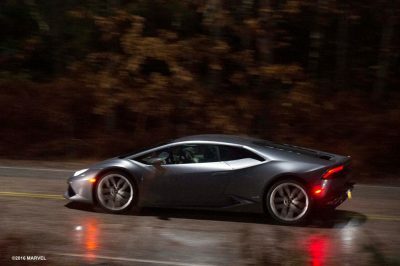 Intent on showing the Lamborghini in a good light, filmmakers made sure that it was obvious that the V10-powered Huracán didn’t cause or exacerbate the accident, but rather was what protected him from further injury or death. 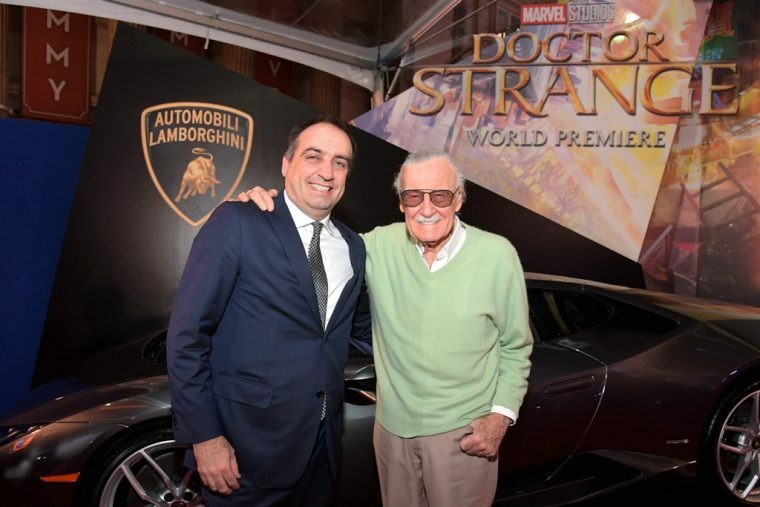 “Much like many Lamborghini owners, Doctor Strange is a bold, ambitious and pioneering character who reaches beyond the realm of the ordinary and thrives in any situation, despite the challenges ahead,” explained Stefano Domenicali, Chairman and Chief Executive Officer of Automobili Lamborghini. As Doctor Strange prepares to be Marvel’s most unique and ground-breaking superhero film yet, this Lamborghini Huracán promises to dazzle on screen along with awe-inspiring special effects. 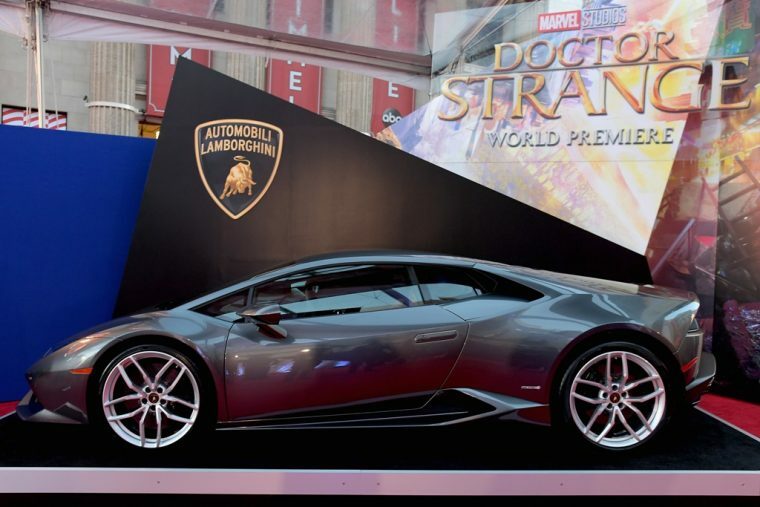 The Huracán already made its appearance on the red carpet, but you can see it appear on the big screen when Doctor Strange premieres on November 4, 2016.